It’s an age old question…to paraphrase Mr. Miyagi, in Karate Kid, should you leave the “wax on, or wax off” when opening your bottle of wine. In the past, most bottles had a simple capsule or protective sleeve, often called a foil. Now, more and more wineries are dipping their bottle necks in wax. 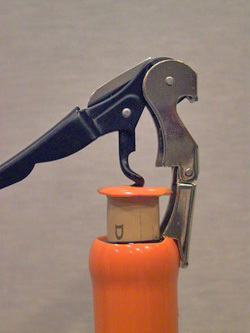 So, how do you get the cork out? More on that in a minute. 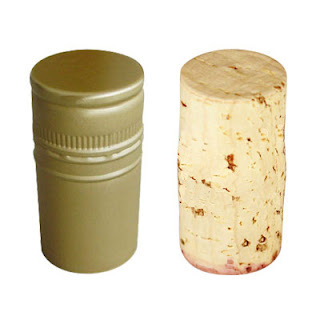 Why is there even a capsule over the cork to begin with? 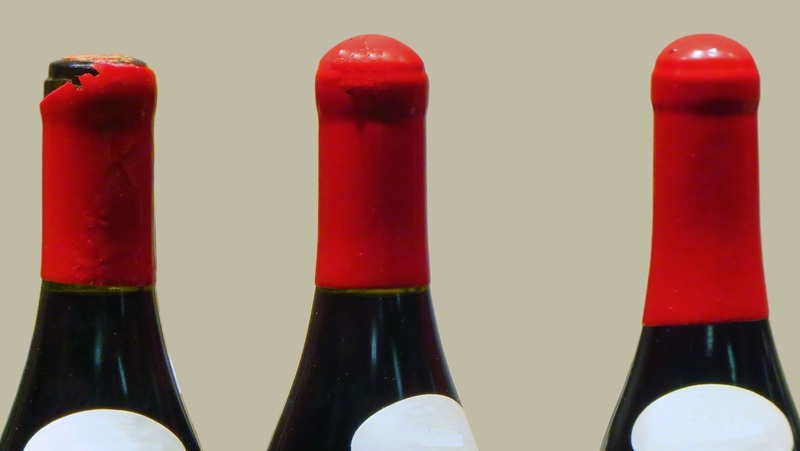 Back in the day, wine bottles were typically protected with a lead capsule over the neck of the bottle. The purpose was to protect the cork from being chewed on by rats and mice that often inhabited the wine cellars. The capsule also prevented a potentially leaky cork from dripping on the ground, and inviting insects into the cellar. 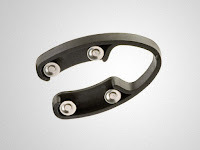 Lead was used, simply because it was easily malleable. You might note that traditional Sommelier service includes a heavy wiping of the bottle pre and post cork removal, in a throwback to the early days of cleaning off as much residue as possible. Research eventually pointed out that lead was toxic, even in trace amounts. By the 1990’s the lead capsules were replaced with tin, aluminum and shrink-wrapped plastic. Now, some wineries don’t even use a capsule, and many have switched to sealing the cork with wax (either with a wax disk, or hand-dipped in sealing wax). Due to cleaner cellaring practices, the need for a capsule mainly serves as a decorative article, and a throwback to old traditions. Just like a screw cap versus a natural cork….in wine, tradition is part of the romance. To me, a bottle without a capsule feels cheap, or unfinished. I know, it is more of a perception than it is a reality. I like the traditions of wine: cutting off the capsule, screwing in the corkscrew and hearing the pop. Is it just me? I don’t think so. You will find that some bottles have a paper strip running across the cork, then that is sealed below the capsule. This is basically an assurance of authenticity. The idea being that the capsule and paper both would have to be unbroken, to guarantee that the wine inside had not been tampered with. Some of the newer capsules, particularly shrink-wrap plastic, are more irritating than foil. 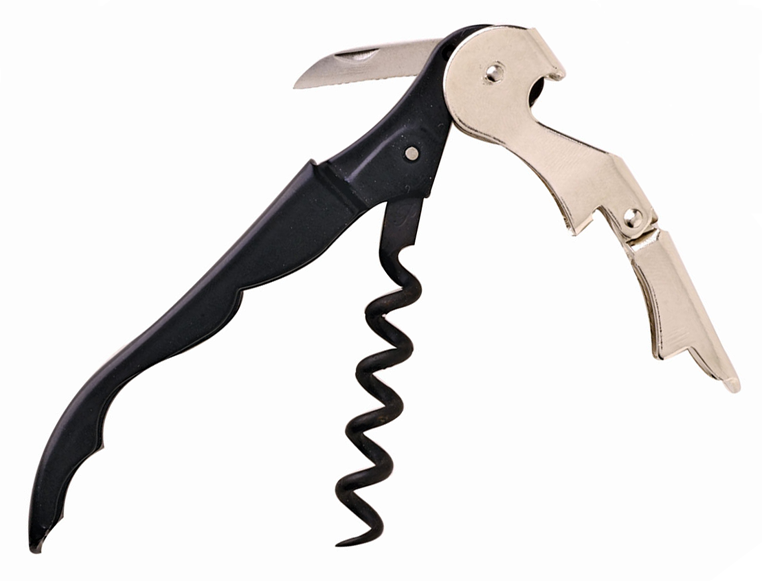 I use a waiter’s helper corkscrew, which has a serrated knife. While it works great with foil, it seems to always hang up on plastic, and tear. And, if you use a foilcutter accessory, they often don’t cut through the plastic. Many plastic capsules now come with a “pull tab”, but that just feels cheap to me. In the past, I would have used a foilcutter, and removed just the top section of the capsule. Now, I remove the entire capsule with a vertical cut, the length of the capsule. I then peel off the capsule in one piece. This allows you to inspect the capsule. Why? Mold and staining on the inside of the capsule might be an indication of a problem. Staining can indicate leaks, as can mold. But, with mold, remember that corks are semi-porous. A moldy smell in your wine is probably not desirable. Proceed with caution from here. Examine the cork and the wine carefully. Wipe the bottle and cork with a clean cloth, room the cork, examine, then sip the wine, looking for any issues. Now, back to the original question, “how to remove wax from a wine bottle?” Sealing wax can make a real mess. There are really only two options: 1) chip away at the wax; or 2) just drill right in and pull the cork out with the wax still on. I find that chipping away at the wax is messy, and frankly, more effort than is needed. Not only is it time consuming, but your bottle will look like a mess in the end. Remember that wine service is traditional and romantic. Wax flakes all over the table, and chipped bottles kind of take away from that. The wax will not peel away from the bottle, as you might anticipate. The best way to remove a wax capsule is not to remove it at all. Simply angle your corkscrew into the top of the wax, so that the tip of your worm/auger is imbedded into the wax. Next, slowly twist the auger in, as you gradually bring your corkscrew to an upright position. Next, grip the teeth of our corkscrew onto the outer rim of the wax capsule (you may need to grip the teeth, to keep them in place), then pull the cork out along with the wax. Some people prefer to only partially pull the cork out, then chip away some of the wax, before removing the cork all the way. I just find this to create more of a mess. I should point out that this extraction method requires a waiter’s helper type corkscrew. Many easy pull type corkscrews just can’t handle the wax. My corkscrew is a Pulltex. I have had it for at least eight years, and it continues to be my “go to” corkscrew. Easy to carry, easy to operate, and not terribly expensive. There you have it, an easy way to remove any capsule. Enjoy the romance and nostalgia that opening a wine bottle offers. At a recent wine tasting event, the theme was forgotten grapes. The goal was to try numerous grape varieties at one tasting event, of grapes that most people would be unfamiliar with. The first challenge was to find the wines. A quick internet search located a number of possibilities. Wines from Italy, Greece, Portugal, Austria and The Republic of Georgia, made for an interesting evening. One of the more unusual wines was an “orange wine” from Georgia. The wine was made from four native grapes: Rkatsiteli, Kisi, Mtsvane and Saperavi. Additionally, the wine was fermented in qvevris without additives and filtration. So what is an “orange wine”? The easy answer is that it is to white wine, what rose is to red wine. Rose involves very little contact with the red grape skins, in order to extract just enough color to leave a slightly pink hue. However, with orange wine, we have white grapes with limited skin contact, extracting some of the skin pigment, tannins and phenols. Normally, this would be undesirable for a white wine, whereas for reds, skin contact is a vital part of the process. 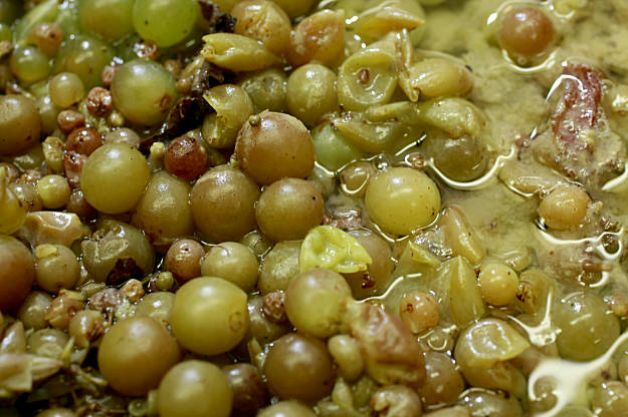 Typically white wine production involves crushing the grapes and quickly moving the juice off the skins into the fermentation vessel. The practice of extended skin contact with white wine grapes has long history in the Caucasus region. 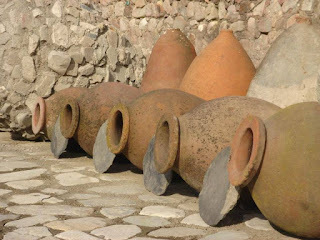 In Georgia alone, this winemaking style goes back at least 8000 years, where they are often aged in clay vessels (qvevri) or wooden barrels. Qvevri are lined with beeswax and buried in the ground, which provides natural temperature control and slow, oxidative aging that produces earthy, texturally distinct skin-contact wines. More recently, Italy has adopted this style, particularly in the Friuli-Venezia Giulia wine region, with Pinot Grigio. Orange wines get their name from the darker, slightly orange tinge that the white wines receive due to their contact with the coloring pigments of the grape skins. The actual color can range from bright gold to a tawny brown (for more oxidized wines). On the palate, these wines can easily be mistaken for red wines. They have the body, texture and moderate tannins, found in red wines. But, they have the fruit and aromas of a white wine. They are confusing wines. Try doing a tasting in a black wine glass, and see how easily it is to stump your wine drinking friends. 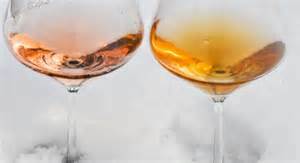 Just as rose wines, orange wines offer a good compromise when you can’t decide between white or red. For example, white wine would traditionally accompany fish and red wine would accompany meat. Orange wines are delicate enough to pair with fish, but are also structured enough for red meat. Even though these are white wine grapes, there is no need to chill. To serve correctly, serve them at cellar temperature. You may also want to decant the wines, and allow the aromas to open up. Back to our wine for the evening: 2012 Orgo Rkatsiteli. I would say it was 50/50 on people liking the wine, and others finding it “odd”. 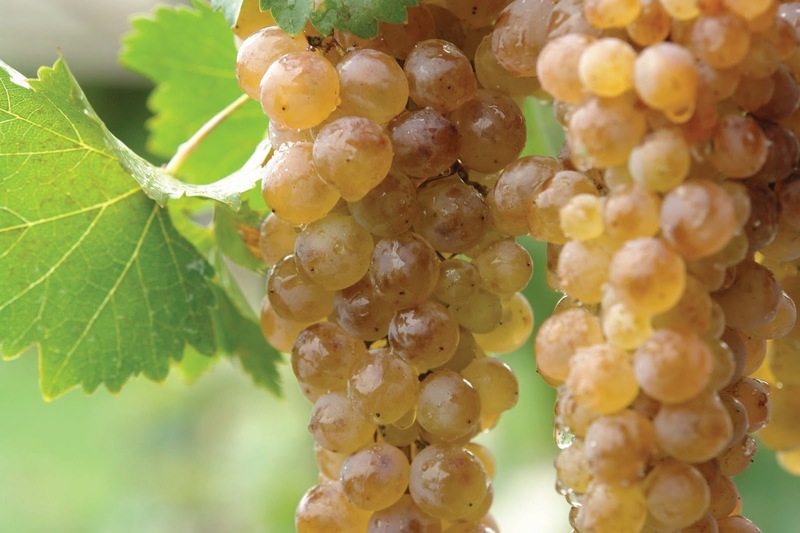 The amber colored wine had notes of apricots, dates, beeswax, dried orange peel, and cinnamon…all white wine notes. But, on the palate, there were defined tannins, and a mouthfeel of a red wine. In a blind tasting (literally blindfolded), I would be hard-pressed to determine what this was, because of the mixed sensory signals. Many people consider these types of wines as a passing fad (tell that to the Georgians, and their 8,000 years). Some even claim that these are actually “flawed” wines from winemakers that haven’t learned to make wine “properly”. It is hard to call it a fad, when it really hasn’t caught on yet. How many have you seen in your local wine store? I guess the jury is still out, and only by tasting them will you be able to either share their virtues, or dismiss their novelty. Whatever your until impression, make a point of at least seeking some orange wine out, and give it a try. Then, share your comments on this blog.